I’ve been noticing the common recurrence of the recap episode inserted halfway through an anime. Essentially retelling the story within a single episode, recap episodes give the illusion of being important, and I used to watch them specifically for that reason. However, I quickly learned that this was the opposite. Recap episodes are a detriment in anime because they hinder the story’s exposition by dividing the narrative into sections and wasting the valuable time the anime could have had to further to develop the story and characters. For example, a show that could have benefited from having another episode’s worth of time had it not been spent on a recap episode is Sword Art Online II. 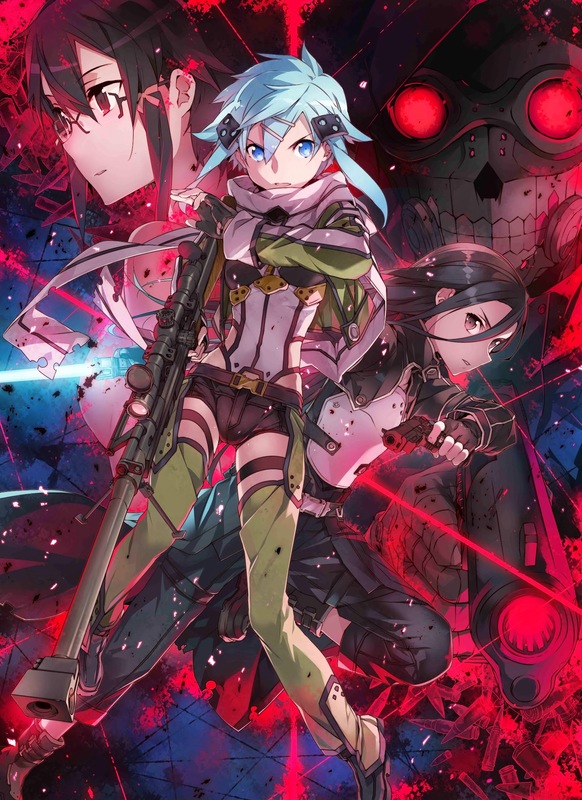 At the finale of the Gun Gale arc in this show, Kirito is stabbed with a syringe by Shinkawa while trying to save Asada and is on the verge of death – or so we think. In reality, Kirito is just so insanely lucky that he isn’t even injected with the fatal drug because the syringe was miraculously stopped by an electrode still stuck to his chest, which was used to monitor his heart in earlier episodes. How is he so lucky for all of this to work? Well, it’s partially because the anime isn’t given enough time to address any of this. Instead, it’s forced to omit certain details in order to end the arc and leave room for the recap episode. The finale of the Gun Gale arc could have benefited from a scene or two in which Kirito could have woken up and gone to help Asada, leaving no time for the electrodes to be removed. I would have also liked to see a scene unrelated to the drama involving him waking up to find Asuna and Yui waiting for him, but we didn’t even get that. Now I realize that a scene or two wouldn’t take up an entire episode, but that’s not the point – the point is that instead of devoting time to a recap episode, the time should be better spent filling the core episodes with relevant scenes. Because as it stands, Kirito being magically unharmed means that the scene existed simply to create an unnecessary sense of danger that served no purpose. The time was being spent on creating a false sense of drama rather than establishing the characters or moving the story forward. The finale could have greatly benefited from meaningful scenes that addressed the omitted details and remedied the poor writing; unfortunately, it was forced to eliminate relevant scenes in favor of buying enough time for the recap episode to be included in the season. Sacrificing important points in the narrative for a recap episode is unwise, especially when the recap episode simply repeats facts that the audience already knows without giving them anything new to think about. Also, this show is not complicated enough to warrant a recap episode. Another problem with recap episodes is that they are rendered pointless with the amount of flashbacks characters have in an anime. Flashbacks are much more effective tools for recapping a story because they are short and the memories of past experiences provides insight into the character’s thoughts. The flashbacks flow with the story and contribute to the development of the characters. Recap episodes break that flow by dividing the narrative into sections, and the act of dividing the story slows down the pacing of the anime. 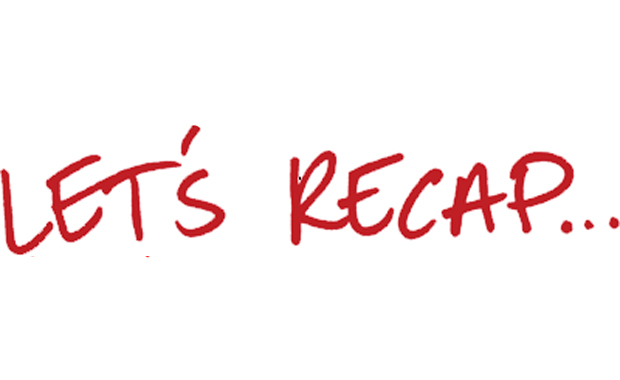 So with all of these negative aspects of recap episodes in mind, why are they still so prevalent in most anime today? 1) If the production of a show is behind schedule, sometimes the studio will create a recap episode for the purposes of buying the production team an extra week to get back on track. 2) In some cases, the budget for a given anime will get cut and forces the studio to create a recap episode to compensate for the budget cut and save money. 3) In Japan, reruns of an anime series on television are rare and as a result, they often use recap episodes to help the bridge the gap between major story arcs to keep old and new fans of the show updated. I won’t deny that most of these reasons for recap episodes are legitimate, and it’s hard pinpoint the reason a given anime includes a recap episode. However, there should be a better way to give the studio or budget flexibility without using a recap episode. Why not announce a week hiatus? For example, during Season 1 of The Flash, the show took a week hiatus. Whether the reasoning was for a narrative purpose or production, the point is that the show didn’t bother with a recap episode or filler. It avoided disappointing fans or losing budget by simply releasing the next episode for the following week. This is certainly something that an anime could easily do instead of wasting the audience’s time with a recap episode. While the first two reasons are reasonable, it’s the third reason that bothers me most and is the main source of my problems with recap episodes. While the intention behind recapping a story arc prior to embarking on the next one is a good one, this function of recap episodes only works when the anime is broadcast weekly on television. With most fans binge-watching a finished anime series through DVD, Blu-Ray, or online sources such as Netflix and Hulu, it makes the purpose of recap episodes obsolete. Combine this with the fact that a summary of each episode in an anime can be found on the Internet, recap episodes are all but devoid of purpose and ruin the anime they’re used in because of their limited practicality. In short, the excuse to catch the audience up is quite poor and there needs to be a better way to handle recap episodes. 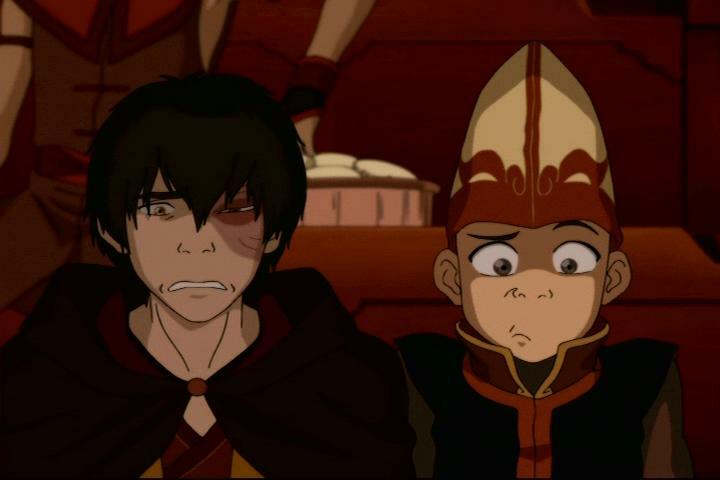 For instance, Avatar: The Last Airbender is the only show I’ve seen that has used a recap episode in a clever, unique way that contributed to the story and characters. Done in the form of a play, the recap episode employs humor while highlighting major moments in the series that allows the characters to react to their negative portrayal in said play. Not only are their reactions amusing, but this play also sets the stage for the final battle by foreshadowing a possible way it could end. It drives home the fact that this battle will decide everything, and it’s the perfect calm before the storm. They have a right to look appalled. That play was not an exactly flattering retelling of their story. It’s a given that if a studio’s budget is cut or they’re falling behind on schedule, the execution of this form of a recap episode would be impossible. However, I do think this is a good alternative if the recap episode is created with the intention of transitioning between story arcs because it still engages the characters and moves the story forward, even if it’s not by much. The goal should be to spend the time giving the audience meaningful scenes that allow the story to flow and contribute to character development. If this can be done within the limitations of the studio budget and schedule, then I would gladly watch more of these recap episodes in a heartbeat. But until they can be handled in a unique way that doesn’t serve as an apology for complications behind the scenes, then recap episodes will only continue to hinder the story and eliminate the potential for more well-written and meaningful episodes. I sort of used to like recap episodes back when anime was new to the U.S. I think for me it’s because I liked reliving certain favorite scenes from previous episodes before the anime moved onto the next story arc or season. Now, I find them annoying and a huge time waster as you pointed out. I know the Japanese have their own way of dealing with broadcasts and production times that’s different from how we’re used to viewing things here, but it really would be better if they just had hiatus periods like we do with TV shows. I rather have a break in between episodes than spend 30 minutes of my time watching a recap. This is the same issue I have watching Tsubasa: Reservoir Chronicles. It’s not so much they have a recap episode, but more like they spend what feels like 5 minutes of the beginning of each new episode recapping the previous episode. I mean, I just watched that episode. Am I really going to forget what happened between that episode and the one I’m watching now? I’m currently having a hard time watching the anime than reading the manga. I also think recap episodes just breaks the immersion of the entire narrative in a really bad way. Yeah, so true! Anime can be really annoying about recapping events in the first 5 minutes of new episodes. We don’t need that much time! Even if we were watching it on a week-to-week basis, we don’t need more than a minute, and even that can be excessive for those types of recaps too. It’s a slippery slope, that’s for sure. That is the nice thing about manga though, is that if there is a “recap” it doesn’t waste the readers time (especially since it’s much easier to skip over pages in a book then it is to skip over video content). Yep, totally true. It`s such a pain. It`s best to cut them off and allow the studio to work on the episode for a different. However, sometimes they can`t. Or it screws up everyone`s schedules. So they need to put that there so that they don`t damage, a whole running session on television. Glad, you covered production issues & budget. With the budget issues, it`s all upside down. Production Studious, are given ____ amount. They have to know use it. Though, sometimes it creates a demise. For the studio Manglobe who did: “The World God Only Knows”, “Samurai Champloo”, and “Deadman Wonderland”. 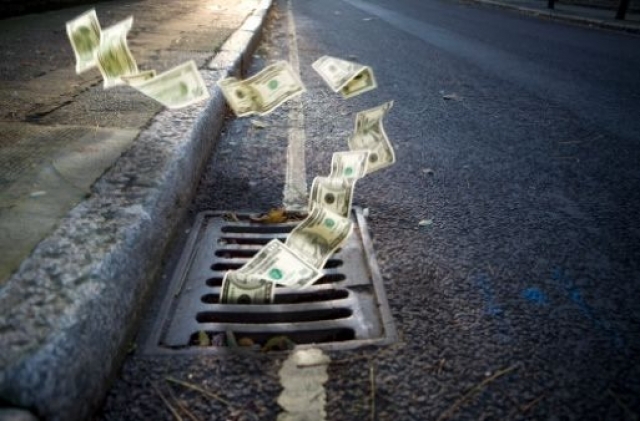 Their bankruptcy, came from inability to work with their budgets and other bad investments on original projects. Oh, that’s a really interesting point. I wasn’t aware that the studio that made those anime became bankrupt, despite being – mostly – effective in managing their budget. I guess it’s just a lesson that there’s a balance to everything, and if the pendulum swings too far to either side it can be problematic in both ways. Yeah, it’s quite unfortunate. It can be pretty hard, in the anime world. Such an expensive but nice community. I hate recap episodes ever since Wolf’s Rain made me watch four of them in a row!